LIMITED PLACES - BOOK EARLY Join us on this fantastic opportunity to step aboard Marco Polo in Bristol to view the facilities and cabins, sample the delicious cuisine and enjoy some stylish entertainment. Get together with your Solos Tour Leader and fellow Solo travellers for the perfect introduction to cruising and enjoy a fabulous festive party atmosphere. Get together with your Solos Tour Leader and fellow Solo travellers for the perfect introduction to cruising and enjoy a fabulous festive party atmosphere. Watch a wonderful show and tuck into delicious five course dinner plus a chance to sample the cabins for an overnight stay with breakfast the following morning. Also included within this wonderful package are a welcome cocktail and half a bottle of wine per person with the meal. Embarkation will be late afternoon. The ship will not be leaving Bristol Avonmouth and will be berthed overnight in the port. The ship will be departing for Dublin later today so time on board this morning will be limited. After you have vacated your cabin this morning, enjoy breakfast before disembarking Marco Polo. With her handsome profile, beautiful teak decks and distinctive dark blue hull, Marco Polo is a classic ocean liner. Offering a traditional maritime experience in cosy surroundings, she can accommodate up to 800 guests within a warm and friendly atmosphere that reflects a truly intimate cruise experience. Two of these comfortable cabins are on Caribic Deck and three are located on the Columbus Deck. Each has a bathroom with shower & WC, wardrobes and drawer space, mirrored dressing table, TV, hair dryer, direct-dial telephone, music console and personal safe. Ten outside twin bed cabins, deemed as particularly suitable for sole occupancy, have been selected on Pacific and Amundsen Decks for single travellers. They have one window and a bathroom with shower & WC, wardrobes and drawer space, mirrored dressing table, TV, hair dryer, direct-dial telephone, music console and personal safe. 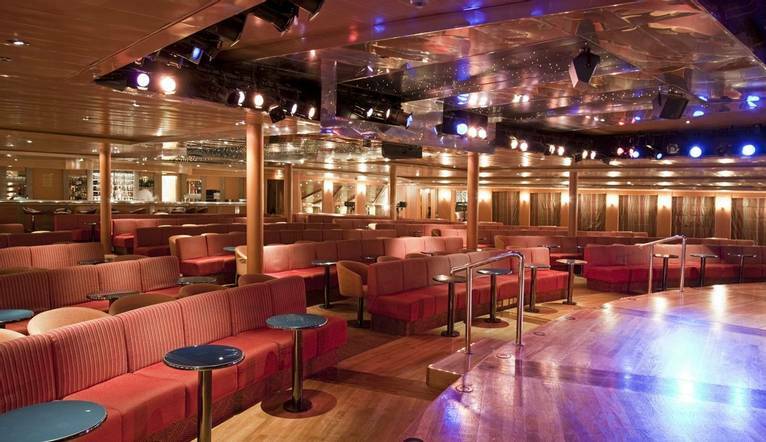 Marco Polo has some great entertainment on board, from show teams to pianists to disco. Why not start your evening with a pre-dinner drink and enjoy some of your favourite melodies? The ship’s resident musicians invite you to sit back, relax and enjoy conversation with new friends about another wonderful day ashore. Marco Polo cruises operate as ‘child free’. This means that even during school holiday times you can enjoy the pleasures of cruising in the company of adult passengers only. The ship offers a wide range of facilities, including the impressive Waldorf Restaurant, the stylish Marco’s Bistro and five main lounge areas. Other conveniences on board include the Livingston Library, the Nansen Card Room, an Internet Café, and a shopping arcade. The beautifully appointed Jade Wellness Centre offers hairdressing and beauty treatments, fitness and exercise equipment, and sauna and massage facilities. Out on deck, there’s a swimming pool, three whirlpools and a traditional walk around promenade. Cruise & Maritime Voyages’ maitre’d and attentive waiting staff will welcome you to the elegant Waldorf Restaurant where you can opt for a full English breakfast, a leisurely five-course lunch and a delightful dinner every day of your cruise. 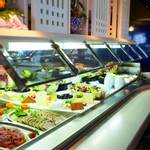 As a casual alternative, the light and airy Marco’s Restaurant is open every day for buffet style breakfast, lunches and dinner. The Pool Deck lends itself particularly well to al fresco meals so a buffet breakfast or lunch from Marco’s can be served up with a complimentary ocean view! You could also choose to dine at the Fusion speciality restaurant and sample our journey into Indian gastronomy!